After returning from Africa, I landed my second teaching job in the school where I’d been trained. I planned every lesson carefully, which involved a sheet of paper, a pen and a lot of photocopying. I would write the aims, plan a warmer then write the stages for the main topic and follow up activities. I’d then make lots of photocopies from a course book, cut out bits of paper and create activities for students to complete in the classroom. 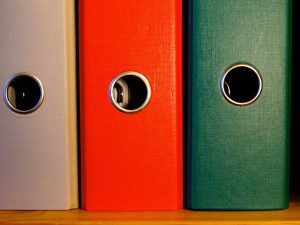 When I’d finished teaching the class, I would take the lesson plan, materials, activities and even tapescripts of CD recordings and stick them all into a big ring binder folder. Every day for every lesson I would rinse and repeat this long process, gradually generating folders and folders of paper. What happened to all these lesson plans and folders full of materials…? Well, they ended up on a shelf, then in my loft, then 5 years later, in the recycling bin! That’s right, all that time and effort creating lesson materials was wasted. Sure, I might have reused a couple of my lessons a week or two after I’d taught them with a similar level class or a one-to-one student, but the reality was, even having an organised folder by levels and date soon became unmanageable. Ultimately this resulted in a huge waste of time, effort and resources. Then I discovered online tutoring and my new best friend, Google Slides. Suddenly every single lesson I prepared for my students was now stored online. All those personalised, interactive and fun lessons I spent valuable time creating could now be accessed at the click of a button. Most importantly, they could be replicated and used again and again. Copy and paste is most certainly your friend when using Google Slides. 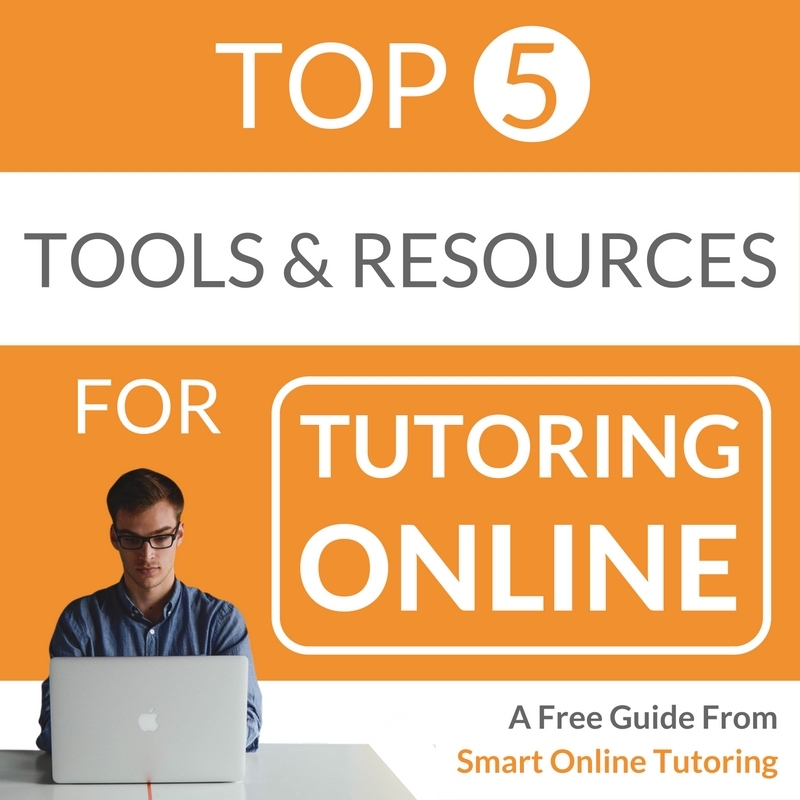 After 4 years of tutoring online, I now have hundreds of lessons in one Google account that I can access from anywhere, on any computer device and share with anyone in the world who has an email address. I can’t even imagine how many hours I’ve saved creating online materials. These lessons can be used with multiple students, adapted to different levels and all of this without a piece of paper in sight! No folders on my bookshelf taking up space, just high quality, professional looking and sharable online materials at my fingertips. Result. I’m constantly amazed at the powerful tools that are available online for free. All you need to access Google Slides is a Google account. You can set this up in 2 minutes. If you don’t already have a Google account, check out my video below and follow the step by step guide for signing up. 1. Time saving – When I spend an hour creating a 60 minute lesson for one student, it seems like a lot of time to spend initially. But it’s time well spent because I can use the materials again. Sometimes a simple copy and paste, with a few tweaks is enough to have another ready to go lesson for a student who has a similar level or is following a similar course like preparing for an exam. Sometimes I take lessons and add to them, continually evolving the lesson into something better. With the search function on Google slides, you can find previous lessons you have created and then replicate or insert them into other lessons in seconds. Even when I do occasionally teach face to face, I still create my lessons using Google Slides and simply take my laptop with me. Either we can look at the screen together or if they have their own laptop, I can share the lesson with them there and then. 2. Convenient for your students – Have you ever taught a good face to face lesson using a whiteboard and at the end, turned around and looked at your whiteboard full of useful information for your students and thought “I wish they had access to all of that”? I used to take photos of my board or copy down the language on a piece of paper and then email it later in a bid to keep hold of this information. Pretty time consuming. Now everything I add to a slide during my lesson is instantly saved and accessible to the student at any time they wish. 3. 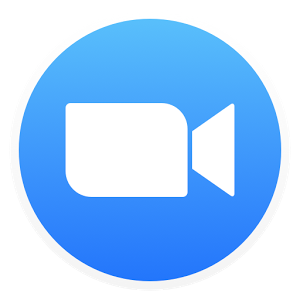 Huge wealth of online materials – Videos, audio, visuals, apps, interactive websites… The list goes on for materials you now have access to when creating your own online materials. You can either insert these materials into your Google Slides presentation or use the link function to direct your student to another website. 4. 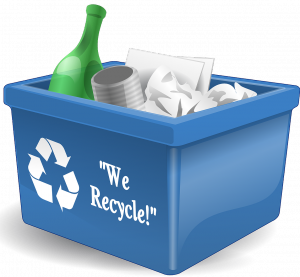 Saves money and the environment – No need to buy coursebooks anymore or photocopy a ton of lesson materials that eventuality end up in the bin. I certainly don’t miss standing by the photocopier trying to find that elusive paper jam. Never again will I feel that moment of terror when 5 minutes before the lesson starts, the copier ink runs out! As you can see, I’m a big fan of creating online lessons using Google Slides. To help you get started, you can download one of my sample lessons below (complete with instructions and my favourite theme for professional looking lesson slides). To edit the slides, click ‘File’ then ‘Make a copy’. 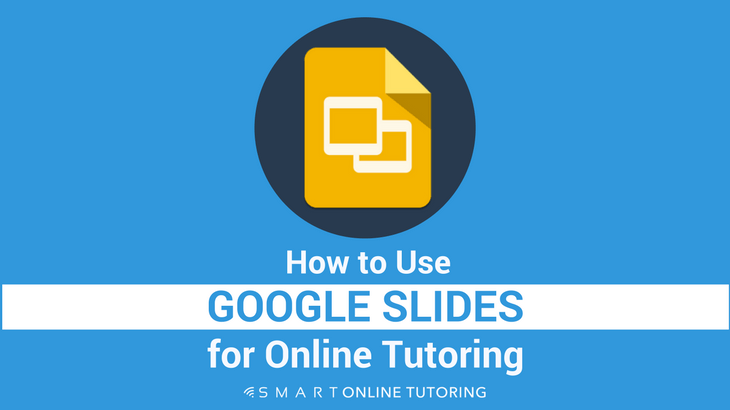 Let me know how you get on in the comment box below and feel free to ask any questions you have about Google Slides or online tutoring in general.